The picture below is an interesting summary of the general trend in computing over the last 100 years or so (MIPS = Million Instructions Per Second). There is, however, some gap in logic here, and it frequently occurs when projections are made: an expectation that the quality will follow the quantity. But, this is not necessarily the case. Just look at the picture above, for example: it clearly suggests that the computing power of 2015-2020 systems is greater than that of, say, a spider. But, does it mean that a modern computer can be as intelligent as a simple spider? I really doubt it. Can we build an autonomous device today that will simulate the very basic things that a spider can do with its tiny brain and its total lack of knowledge in math, algorithms, language, gravity, genetics, etc? Can we build a device that will know that it needs to run around and search for food, recognize its predators and hide from them, use those tiny cracks and holes to actually hide from the danger, from bright light (at night), from moving shadows, from moving water streams? Can it be also programmed to build those beautiful spider webs and wait quietly in the corner for the unsuspecting butterfly? And then wrap it in the web and put aside for later? And, ultimately, look for a mate and procreate? And, while doing all of the above, learn new things, new dangers, new traps, new tricks, find new sources of food and water, and new places to sleep and hide? 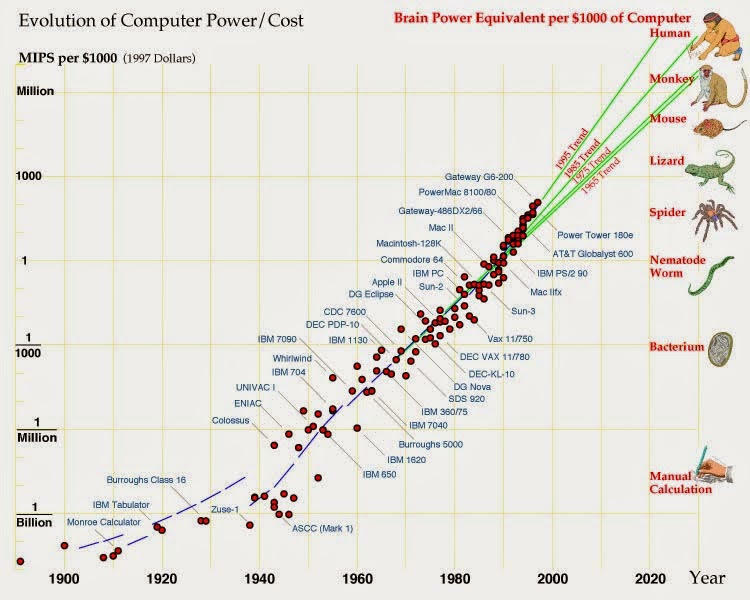 I doubt this is possible today even if the most powerful computer is used and the latest AI/ML algorithms are applied. That’s because power doesn’t equal smarts. Power is just power. This entry was posted in AI, artificial intelligence, machine learning, deep learning, Amazing technology, data, and people, Analytics, data analytics, big data, big data analytics, data on the internet, data analytics meaning, Computers, Money, business, investments, statistics, trends, Past, present, and future, Research, The future of artificial intelligence and tagged AI, and future, artificial intelligence, deep learning, machine learning, Past, present. Bookmark the permalink.